Featuring Khemmis, Metallica, Pennywise, and more! Any diehard Trivium fan would probably agree—they put everything they had into conceptualizing, writing, and recording their eighth studio album, The Sin and the Sentence. A harmonious union of all of their previous albums' high points, these 11 tracks hit us in the feels when it dropped last year, and continue to blow us away every time we press 'Play' on the landmark LP. 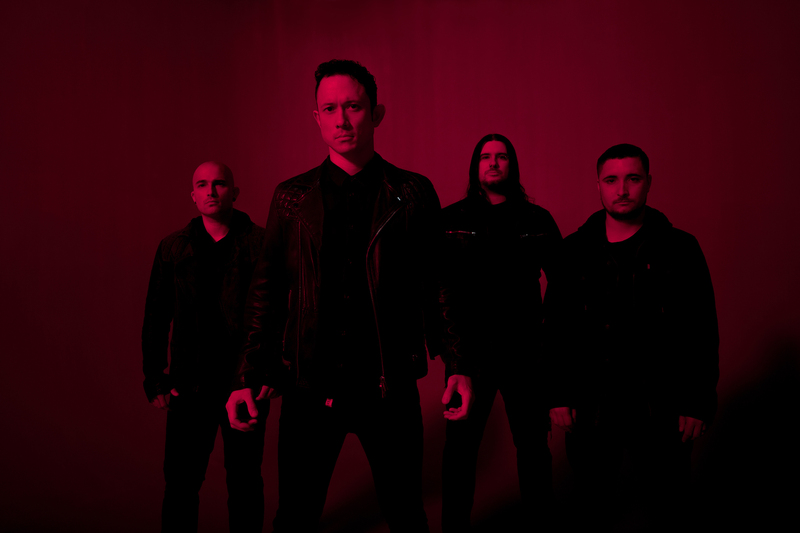 In support of the record, the band—Matt Heafy (vocals, guitar), Corey Beaulieu (guitar), Paolo Gregoletto (bass), and Alex Bent (drums)—announced they'd be hitting the road, performing the new tracks at major festivals and venues across North America. After hitting Welcome to Rockville in Jacksonville last weekend, the four-piece will be stopping through cities like Birmingham, Charlotte, and Portland, before wrapping in New Orleans on May 27. We chatted with Gregoletto, who wrote a majority of the stunning LP, about what he'll be listening to while on the road this month. Check out some of his favorites below, then make sure to Track Trivium on Bandsintown! Khemmis is a band I’ve recently discovered and they just happened to put a new song out! They are sonically somewhere between Mastodon and The Sword. This is the classic Pennywise sound that always transports me back to middle school, when I was just learning how to play bass and still skateboarding. I am hoping to catch this song at a show soon, they totally delivered the punk rock Foods with this one. I’ve always seen the name Harm’s Way and never heard the music till now. HEAVY as hell and unrelenting start to finish. “Sink” is a great tune if you need some gym motivation. Sepultura is in my DNA at this point and have shaped how I make music. When I saw Max and Igor started CC I was really happy to see them back together. This new album is just mind blowing! It sounds like it could have come out between “Beneath The Remains” and “Chaos A.D.” Already a classic! There is not I can really add to express my love for Metallica. They are the kings and this is a nice sonic refresher for the best cover EP ever. Before we became friends and peers of A7x, they made this great album that I jammed all the time in my senior year or high school. They still had that OC punk edge to their sound and glimpses of that big rock catchiness that they’d bring to later releases.